Probably a toss-up between Kai, Yuriy, and Ryuga. Metal: I would have to say Kenta, He was one of the hardest working bladers of the group. I can respect that. Burst: Shu, Hard working. Would have made it to the finals and had a chance to Beat Valt if it wasn't for that little crack formed against Wakia. Burst God/Evolution: I like a few of them. Free is cool but Silas (I am stuck with Burst evolution) is pretty cool as well. My favorite bladers are Shu and Free, since both seems to amaze me. Naoki Minamo, the unsung genius. 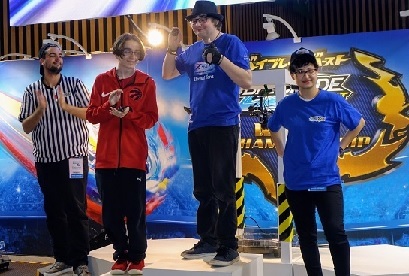 His dream of winning the tournament was more than becoming Japan’s best blader, it was about perfecting his algorithm and proving his worth as a scientist. Though I’m supposed to root for our hero Valt, part of me is truly sad that Naoki was only in the Individual Tournament and lost the first round. BURST:free ,lui ,shu ,daina ,sisco ,sasha ,xhaka ,song ruwei ,boa ,wakiya , norman tarver , fubuki , suoh . Kensuke Midorikawa is my number one! Plot_Armor has joined the server. MFB: Kenta or Ryuga...hardworking and bad(well, u know, censored) bladers. Plastics: I have no idea, since I never watched it, but I guess Kai? Burst: Lui. Or Shu. Or Free. Pretty much any character besides, Joshua, Valt, Rantaro, (add any character kind of irrelevant to the plot). Kensuke and Daina are alright. Sisco I can't like because of that trigger-worthy bey. Burst: Shu? I guess, don't watch much Burst. That's true. Lui is a very interesting character and he's also a powerful blader. He makes the whole series a lot more spectacular. Lui is a great character. ^^ I still have to decide on a favorite character. Every character in Burst is awesome in his own way. That's why I like the Burst anime so much. IDK why, but Norman is probably my favorite burst blader.